After the acquisition of communication network Social "Facebook" on the instant messaging application "and WhatsApp" was Ranked in terms of security is low and very weak, so it was easy to hack "for Internet pirates," but this "Facebook" has launched a new security update, and who made "Watts August" from best applications with strong protection impenetrable to overtake the months immediate talks applications such as: Skype, Wii Chat, and the application of Google Hangouts. She "and WhatsApp to become the last update supports safe encryption, which is between the parties to the conversation end to end encryption, and the meaning of this is that the encryption on the user's portable devices are not encrypted on the servers "and WhatsApp" never. And stated that she herself would not be able to access the contents of the conversation between users to view messages, so they will not have the ability to respond to government requests for private user messages, where they do not have private encryption keys. 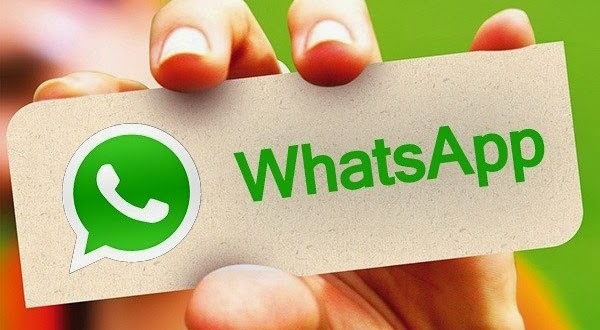 It was reported that the encryption provided by "The WhatsApp" is one of the most powerful types of encryptions at all, and also that "Skype" and "Facebook" use the same encryption, but that they can see the contents of private messages to users because they provide encryption for their services, unlike the case with "The WhatsApp "that does not provide encryption for their services.